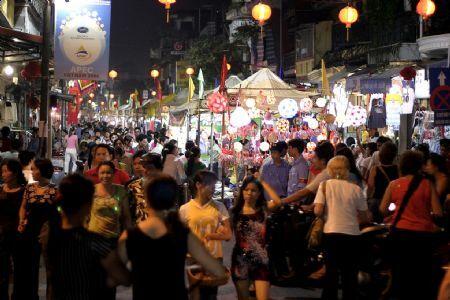 Hanoi night market, also known as Dong Xuan night market, is weekly held on weekend evenings in the Old Quarter of Ha Noi. It’s a very interesting place that all visitors should not miss if they have chance to travel to Hanoi. Hanoi night market spreads from Hang Dao Treet to Dong Xuan Market; this creates the walking street where all kinds of vehicles are not permitted. 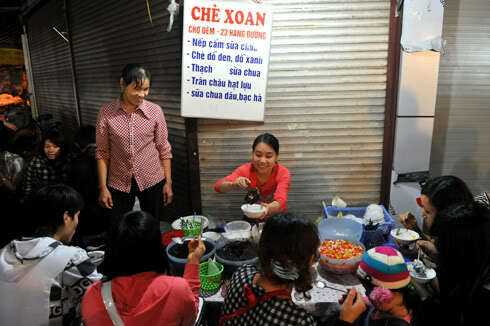 There are a various kinds of products in Hanoi night market. 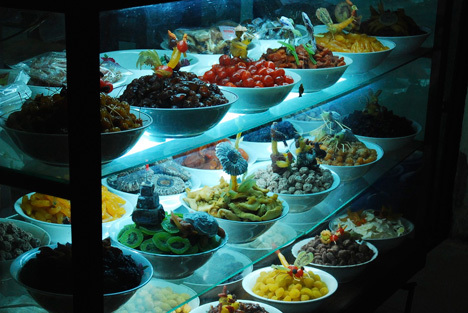 People can find clothes, sweets, salted dry fruit (ô mai), decorations, toys, stationeries, sundry goods on the streets: Hang Ngang, Hang Duong, Luong Van Can, Hang Ma, Ngo Gach and Hang Ca, while goods and facilities are mostly sold from Dong Xuan Market to Hang Giay Street. 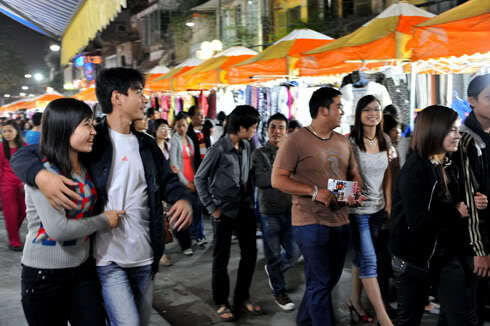 For many Hanoians, coming to the night market becomes a habit even when they don’t want to shop, just stroll to feel the atmosphere, chat with family or friends and enjoy some snack. Children excitedly play with sand pictures or paint statues. There are a lot of couples hand in hand walking together with smiles on their faces. Many foreign tourists join in the streams of people taking picture; sometimes they stop to select some products. 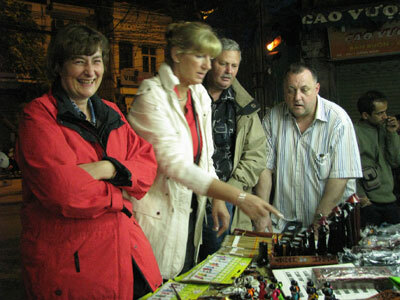 Many of Hanoi or Vietnamese style souvenirs which always cost less than the ones in the shops are sold in the market. 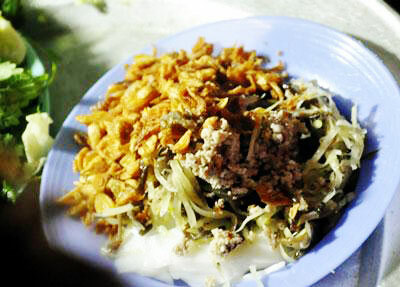 It’s also a good idea coming to the night market to enjoy food. There is a plenty of food here. People can find bloating fern-shaped cake (bánh bèo), bacon, grilled (nem chua), grilled sausages, Hai Phong bread, etc … at two sides of the market. 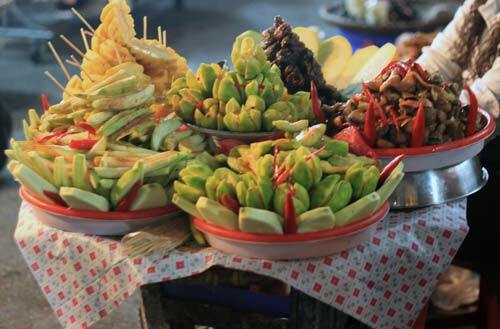 At the end of the market street, there are more kinds of tasty dishes such as hot pot, grilled food, khuc (khúc) cake, steamed glutinous rice (xôi).